This conservation resource was created by Farron Rickerby, Olivia Estes, Elisei Costea, and Aries Cheng. The Yasuni-ITT Initiative aimed to prevent drilling in the Ishpingo-Tambococha-Tiputini oil field in Ecuador. This would protect biodiversity, maintain indigenous peoples’ rights, and eliminate 400 million tons of CO2 emissions. The Yasuni-ITT proposed that the global community contribute roughly $350 million annually for ten years to fund employment in sectors such as renewable energy, while respecting biodiversity and social equality. In return, Ecuador would provide 'Yasuni Guarantee Certificates' corresponding to the avoided CO2 emissions, which could be used on the European Union's carbon credits market. This model introduced a global method of jointly managing environmental costs, however studies indicated that the international community was unlikely to financially support communities wishing to strand local assets for global benefit. 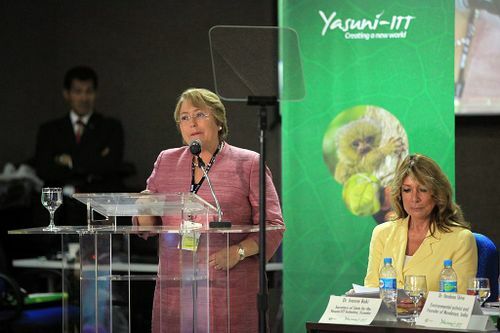 The Yasuní-ITT Initiative ended in 2013 when it was found economically unable to follow through on its plan. Yasuni Biosphere Reserve (∼76°00'W, 01°00'S) is located in the Amazon Basin of Ecuador. 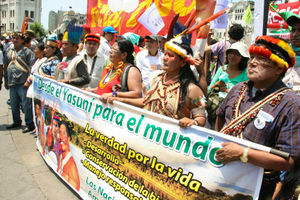 The Yasuni-ITT Initiative aimed to prevent drilling in the Ishpingo-Tambococha-Tiputini oil field. The reserve includes Yasuni National Park and the Waorani Ethnic reserve, which are found at elevations from 200-500 m and encompass approximately 18 000 km2. The area has a warm climate with 3500 mm of precipitation per year. The Yasuni Biosphere Reserve is considered to be globally important for biodiversity conservation and contains areas of floodplain, swamp, and successional forest. The location of the reserve is important to consider as pollution is easily spread through waterways. The Yasuni-ITT Initiative aimed to prevent drilling in the Ishpingo-Tambococha-Tiputini oilfield. The oilfields are found beneath the eastern parts of the forest, where geologists estimate that 846 million to 1.5 billion barrels can be found. This accounts for 20–30% of Ecuador's entire reserves, making it the country’s second largest oil reserve. The government created the Yasuni National Forest in 1979 and in 1989 UNESCO declared it a World Biosphere Reserve. The initiative was announced in 2007 by Ecuadorian President Rafael Correa with the intention of keeping oil from the Ishpingo–Tambococha–Tiputini fields in the ground. To do so, international monetary contributions of roughly $350 million per year would be used to forgo extractive activities and preserve the cultural and biological diversity. The Yasuni-ITT Initiative ultimately failed by 2013 as it was only able to collect $13 million of the $3.6 billion target, 0.36% of the required total. This can be attributed to the numerous challenges the project faced, such as limited financing, political pressure, national commitments to oil, and carbon leakage. Create an innovative solution for combating global warming through avoiding fossil fuel extraction in biologically and culturally sensitive areas in developing countries. Protect the biodiversity of Ecuador and support the voluntary isolation of uncontacted indigenous cultures, the Tagaeri and Taromenane, living in the park. Social development, nature conservation, and greater use of renewable energy sources, leading to a new model of sustainable human development in the country. Conservation of the park by preventing deforestation in 40 protected areas, totalling 4.8 million hectares. As well as administering 5 million hectares of natural areas, belonging to indigenous communities, with their active participation. Proper conservation would also also allow the Tagaeri and Taromenane peoples to remain in voluntary isolation.The total area protected would add up to 38% of Ecuador's territory. Appropriate management of 1 million hectares of forest owned by small landholders through reforestation, forestation, and natural regeneration, leading to a substantial reduction in the current rate of deforestation. Promote national energy efficiency and increase savings. Promote social development including health, education, training, technical assistance and employment in sustainable activities, including ecotourism, agriculture and agro-forestry. Contributions from emission permit auctions or carbon taxes. Specific projects involving renewable energy, prevention of deforestation, conservation and social development. The Ecuadorian government asked the international community to contribute roughly $350 million annually for a 10-year period in exchange for the ITT petroleum reserves to be left underground indefinitely. Participating countries will receive Yasuni Guarantee Certificates for the nominal value of the compensations, up to the quantity of 407 million tonnes of carbon dioxide not emitted. These certificates will not increase the total amount of emissions allowed in Ecuador. Based on calculations in 2009, if ITT petroleum were to be extracted, the revenue incurred would have a value of USD $6.98 billion. The 407 million tons of carbon dioxide that would be generated by burning the ITT petroleum, is valued at USD $7.19 billion, as of May, 2009. Scientists note that the Yasuni Reserve contains significant biological richness and abundant natural resources, being one of the most biodiverse places on Earth. The area is the habitat of 95 threatened or near threatened plant species, including 8 globally or critically endangered species. 43 species of endemic amphibian, bird, and mammal species are also found in the park. As such, deforestation and damage to these habitats could result in further endangerment or extinction of such species and a decrease in biodiversity. An internal assessment of the ITT oilfield development conducted by PetroEcuador found that the substantial risk would result from the direct impacts caused by immediate deforestation and project-related spills, leaks, or accidents. Another critical evaluation suggested that the ITT oilfield would require around 130 wells, which would produce 65,000 m3 of solid waste. This waste is equivalent to 13,000 dump trucks worth being discarded into the forest annually. It also estimated that 390,000 m3 of liquid wastes and 8.7 billion barrels of produced water would have to be re-injected into wells and discarded back into river systems. Had it been successful, the Yasuni-ITT Initiative would have protected the hunting grounds and ancestral lands of indigenous peoples, such as the Huaorani and Quechua people. The Tagaeri and the Taromenane people also remain in voluntary isolation in the park. Together, the indigenous groups in the park account for approximately 9800 individuals. The Yasuni-ITT proposal would have provided an opportunity to enhance national distributive environmental justice because it provides protection to indigenous cultures, rights, and territories, as well as a reduction of national poverty. Contacted indigenous groups and urban, rural and local populations would have benefited from participating in social and environmental programs such as education, health and ecotourism. National justice and democracy may have also improved due to increased participation and cooperation between different actors within civil society and the government. Sustainable development projects would likely have created more employment opportunities, thus distributing power more equally and increasing social development. The emissions that would have otherwise occurred due to displaced oil, deforestation, reforestation, and renewable energy result in $1.28 billion tons of carbon dioxide displaced, which is equivalent to over $25.6 billion. Ecuador earns approximately USD $5 for each barrel of oil. The ITT oil fields contain roughly 1 billion barrels, providing USD $5 billion over 20 years, however, the cost of storing a ton of carbon is USD $20. There are 0.44 ton of carbon dioxide in each barrel, thus 1 billion barrels produces 440 million tons of carbon dioxide, with a cost of USD $8.8 billion. As such, avoided carbon dioxide emissions come with a monetary value, thus the Yasuni Guarantee Certificates are calculated to equal one metric ton of carbon dioxide. In Ecuador, economic diversification is low and primary products represent 90% of exports. Petroleum is the most important product of the economy. For example, petroleum accounted for 57% of total export revenue from 2004 to 2010, representing 1/4 of the national GDP, 47% of the country's energy, and contributing to about 1/3 of the government's annual budget. The United Nations Development Program observed that the preservation of the area would require a significant economic sacrifice from the the country, where many people live below the poverty line. Layering Perspectives: Additional Costs and Impacts? What other costs and/or implications become apparent when viewed through the lens of other disciplines and professions? What special expertise, resources, or theoretical orientations might others bring to help us better understand the costs and/or implications associated with the conservation of rainforest, oil, and Indigenous peoples the Yasuni Reserve? Many actors and perspectives observed the costs and benefits of drilling in the Ecuadorian Amazon. Engineers calculate the costs of machinery and infrastructure, ecologists consider environmental degradation and restoration costs, and sociologists include costs of destroying cultures and community division of indigenous peoples. Companies such as PetroEcuador are also concerned with the extraction of oil as it is an important source of revenue for the country. The failure of the Yasuni-ITT Initiative revealed the inability of the actors involved to effectively manage tradeoffs and conflict, as well as an unwillingness of the international community to pay for stranded assets for the benefit of the environment. Implementation of the project also created tension within various governmental departments, civil society, NGOs, and private oil companies, as well as between the Ecuadorian government and multilateral partners organizing the trust fund. Oil and gas development in the Western Amazon has already accelerated deforestation and led to widespread contamination through accidents and spills. Studies have indicated that oil companies have caused at least $18 billion in environmental and social damages to the Ecuadorian Amazon over four decades. As the Yasuni-ITT Initiative failed, the environmental benefits have been forgone, including the conservation of biodiversity and the displacement of greenhouse gas emissions. The proposals for using the $3.6 billion in revenues towards social and environmental development programs have also been forgone, such as reforestation and natural forest recovery. The initiative would also have acted as a carbon sink for more than 400 million tons of carbon dioxide. Illegal logging, tourism, scientific research, and religious mission have already threatened the subsistence of indigenous groups by encroaching on ancestral territories and culture. Recent studies have confirmed that development of the oilfields would directly threaten the livelihoods and cultural vitality of these groups, including their ability to remain self-sufficient due to forest destruction. The government of Ecuador has pledged to use the latest technology in the oil extraction process in the Yasuni region. However, this is still not safe, as even the latest technology has proven to fail at times. A great example of this is the British Petroleum oil spill in the Gulf of Mexico. British Petroleum is considered by many experts to be a company which invests into technology and supposedly be one of the best in the industry. This proves that even if the government is promising to use the latest technology the environment is still at a high risk of contamination. Between 1964 and 1990 the American company Texaco -which was later acquired by Chevron - operated in Ecuador extracting oil at a site known as Lago Agrio. This area in North East part of Ecuador, is in close proximity to Yasuni National Park. Throughout their time operating at the Lago Agrio site, Texaco dumped over 80,000 tons of toxic waste on the land. These toxic materials have been blamed for an increase of illness in the local population causing them to suffer from cancer, miscarriages and various other serious health problems. It also forced many local residents to relocate in order to escape the effects of the pollution. However, Chevron has refused to admit to causing any of these problems. On top of hurting the local population, the oil extraction has caused irreparable damage to the environment. This environmental disaster could repeat in the Yasuni National Park region if there is a malfunction of the exploitation equipment. This is especially important to take into account considering that the north eastern region in Ecuador is already heavily damaged from this type of pollution, any more environmental spill can have an even bigger impact. On top of this Yasuni is considered to be one of the most biodiverse places on earth with more insects, plants and animals per square hectare than anywhere else in the world. The civil society is often mobilizing itself when certain aspects of their country are in danger. In Ecuador, when the President announced the plan to dissolve the Yasuni conservation agreement, his decision was met with heavy protest. These protests at the very least symbolize that the decision is very controversial however they also provide evidence that there is a problem with the project and the local population is concerned about the effects this project will have on them. The protesters want the Yasuni area to be left untouched and protected. The Yasuni National Park is home to two indigenous tribes Tagaeri and Taromenane. These tribes have voluntarily chosen to live in isolation and they are some of the few tribes which still live in isolation worldwide. The exploitation of oil threatens their lively hood and existence as the oil exploitation will almost certainly disturb their natural habitat. In the past the Waorani people also had a similar lifestyle living off the land in a hunter-gatherer manner. Following the commencing of oil exploitation in their region these people were forced by their surroundings to settle down and become farmers, destroying their way of life. This is unfortunately a very likely scenario for the Tagaeri and Taromenane as the oil exploitation will have an impact on their lands. The development of the national economy can not rely solely on oil exploitation and exports. This single primary production model is very sensitive and fragile. Any fluctuations in international oil price can easily lead to an intensive economic impact on domestic production. Instead, a diversified development model is increasingly becoming the mainstream of economic development. In Ecuador, there is an urgent need to pay attention to the deep processing of oil. If the country was to extend it's industrial chain, the added value of petroleum products would be greatly improved. This would ultimately require the betterment of petroleum processing technology and the diversification of petroleum products. Additionally, oil is not the only industry that should be encouraged. Since Yasuní National Park is a UNESCO World Biosphere Reserve and Ecuador’s second largest national park (after the Galapagos Islands), it contains a wealth of biodiversity. As a result, a focus on ecotourism would be significantly beneficial to the development of the local economy, as well as alerting the government, local communities, NGOs, and ENGOs to protect Ecuador's ecological resources. The financial support from international societies is of great importance. The initial reason for the abandonment of the Yasuni-ITT initiative was that the resulting donation was far less than the initially pledged funds. This meant that the International societies failed to actualize their commitment due to the lack of incentives for donors to fully contribute to the initiative. As a result, it becomes clear that a single channel of financing was insufficient compared to loans from the World Bank and the International Monetary Fund, which would have continued to support the initiative. Additionally, financing from the domestic community would be necessary, due to the fact that the ultimate beneficiaries of this initiative are Ecuadoreans. Nevertheless, on a positive note and in spite of its failure, the Yasuní-ITT initiative was still able to inspire change for the future. Whether it is analyzed from an ecological or an economic standpoint, both sides generally agree that a co-management model at the global scale would serve the best at protecting the environment. The oil companies need to improve their drilling technology to meet high international standards and minimize their impact on the environment. As a result, the government of Ecuador needs to invest in developing their technology and encouraging innovation. Training programs are also of great importance, in addition to a complete environmental risk assessment to diminish damage. Due to international and largely political interest in oil, much of the decision-making process excludes those of environmentalists and indigenous peoples. There is little doubt that this lack of democracy contributed to the government’s decision to abandon the ITT initiative. As a result, it becomes clear that the most effective development strategy requires the involvement of multiple stakeholder and a shared consideration of interests. This is fortunately being illustrated in the increasing degree of democratization in Ecuador's government. However, it should be noted that international communities are another part of the problem. With a spotlight placed on financial contributions, it is easily forgotten that international involvement is also needed in framing environmental policy. An adequate example of this is the European Union's carbon-credit market, which is an international effort to encourage Ecuador's government to develop CO2 reducing renewable energy. A significant challenge for conservationists is to make the public aware of how valuable our natural resources are. Unfortunately, most of the locals lack the necessary education, which fosters ignorance and disregard for environmental regulations. Creating public awareness would strengthen the resistance against excessive oil extraction and improve the current condition of Yasuní National Park. The urgent need for protection would serve as a push for the public to act. Inevitably, the law is also required to assign citizens the responsibility of protecting the environment. An example of what Ecuador might need is the 1976 amendment to the Indian Constitution, which states that it shall be the duty of every citizen of India to protect and improve the natural environment, including forests, lakes, rivers and their wildlife. It goes without saying that incentives are needed as well. For instance, people’s involvement in national park management on public land rarely occurs without the promise of certain rights and interests. It is of great importance that any discussion platforms remain open to contributions from the public, as this tends to inspire an enthusiasm for conservation that eventually transforms into action. On the topic of development, there is a significant need for a paradigm shift. Paradigms refer to the overarching frameworks (world views) of beliefs, assumptions, and approaches that shape how we behave. This establishes the moral and intellectual rationale for our actions or inaction with regards to ecological conservation. As a result, the notion that man and nature are separate causes people to shirk environmental responsibility. This, in turn, fosters the attitude that nature should only be protected when it benefits humans and not its own inherent ecological value. If nature (including that in Yasuní National Park) is to be further protected, people must change their concepts of 1) 'man as the ruler' to 'man as the biotic citizen', 2) of 'science as the sharpener of the sword' to 'science as the searchlight of the universe', and 3) of 'nature as the slave' to 'nature as the collective organism'. Subsequent to the collapse of the Yasuní-ITT initiative, the government issued permits to oil companies for drilling. This quickly entailed many negative impacts on the environment, including pollution and forest destruction. It thus becomes clear that a legislative system guarantee should be put in place for the protection of Yasuní National Park. This would be accomplished by first building the necessary legal framework and implementing regulations within Yasuni National Park. Take the 1980 Forest Conservation Act in India as an example. It states that no forest area shall be diverted for any non-forestry purpose without prior approval of the Government of India. This provision effectively prevents the loss of forest due to commercial development projects. While a legislative framework is undeniably insufficient, enforcement of legal regulations remains a sound contributor to the protection of the environment. The decision-making process need to involve the multilateral participation. Yasuni National Park is the home to the Huoarani indigenous tribe. The oil drilling activities bring serious interference to the indigenous people, especially the nomadic Tagaeri and the Taromenane tribes who do not want any contact with the outside world. However, they were silent all the time though with the most interest in this issue.Their traditional, ancestral and unceded rights to their customary territory need to be respected and take into consideration.Therefore, the decision-making process should involve the participation of the Indigenous people. This may be an approach to guarantee the sustainable development. Also, the decision-making and planning process need the public participation. This can increase the degree of democratization by promoting fair and transparency.Public participation can be realized by community meetings, public supervision, and proposals. Before which the informed consent from the indigenous people and the locals need to be ensured. The responsibility of national government and oil exploitation companies. Sometimes the short-term but high-intensity disturbance put on to the ecosystem only due to the urgent and utilitarianism policy objectives. Oil extraction can promote rapid economic development in the short term, but also at the same time cause irreversible damage to the ecology. Therefore, the policy-makers need to pay more attention to the sustainable development.Take socio-economic and ecological benefits of the development as a whole. Banning oil drilling may be a good environmental solution but is impracticable, since oil exploitation and export is the main pillar of the entire national economy. Therefore, sustainable exploitation methods should be taken seriously. Simultaneously, the national government can set up intact environmental risk assessment, which could force polluters to carefully monitor their environmental performance. Once they fail to up to the standard required, temporary ban and some restriction will be put on and continue until their can provide enough evidence to show that it meets environmental standards. For oil drilling companies, they need to focus on their business integrity and be responsible for oil exploitation actions and environmental monitor performance.They need to be informed and abide by the Polluter Pays Principle. The Polluter Pays Principle states that “whoever is responsible for damaging the environment should bear the costs associated with it”. Which entails that the polluter must pay for their bad environmental performance.The payment is usually to the government in the form of a tax and then go to the public as compensation for the health problems caused by oil pollution. 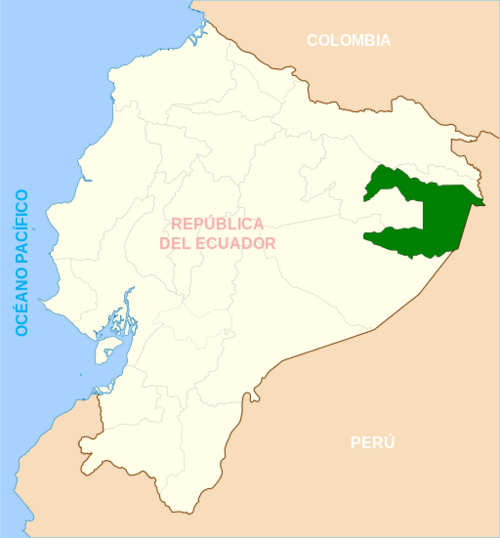 Though the Yasuní-ITT initiative intended to prevent exploitation of the Ishpingo-Tambococha-Tiputini (ITT) oil field in Yasuní National Park, their plan ultimately failed due to economic and political reasons. The global community’s inability to raise the proposed annual contribution of $350 million resulted in detrimental costs to the environment and the residing indigenous peoples. In an attempt to alleviate some of the inevitable damage (e.g. oil spills, disruption of tribes, etc. ), the government of Ecuador has taken it upon itself to invest in the latest (and thus safest) extraction technology. This, however, is unreliable and not enough to minimize damage within Yasuní National Park. There is little doubt that more effort is needed on behalf of the Ecuadorian government to invest in remedial action. Evidence for this can be seen in the recent oil spill disaster and civil unrest in the Yasuní region. The Texaco oil spill resulted in catastrophic damage to both the environment and the health of many indigenous peoples. Additionally, the displacement of tribes to make room for oil drilling equipment has caused severe disruption to the indigenous peoples’ isolated way of life. Significant steps need to be taken to remedy these faults, while ensuring that the Ecuadorean economy remains stable. Ultimately, the best solution for the exploitation of oil in Yasuní National Park would be to take action in a variety of areas. This includes 1) extending and upgrading the industrial chain to include safer technology and a focus on sustainable ecotourism (as opposed to oil production), 2) providing better incentives to the international and domestic communities to increase conservation funding, 3) improving equipment and technical training programs to drill for oil in the safest possible manner, 4) making decisions with respect to the the opinions of conservationists/ecologists and residing indigenous peoples (and not just those of oil companies), 5) educating the public on the importance of protecting the environment and inciting them to become involved, 6) discouraging the infamous notion of ‘man vs nature’, and 7) pressuring Ecuador’s legal system to consider the environment when distributing permits to drill for oil. Exercising a combination of these seven strategies, civil unrest and environmental damage in Yasuní National Park would be kept to a minimum. ↑ 1.01.1 Martin, P. L. (2011). Oil in the Soil: The Politics of Paying to Preserve the Amazon. Plymouth, UK: Rowman & Littlefield Publishers. ↑ 3.03.1 Davidsen, C., & Kiff, L. (2013). Global carbon-and-conservation models, global eco-states? Ecuador’s yasuni-ITT initiative and governance implications. Journal of International and Global Studies, 4(2), 1. ↑ 13.013.1 Keyman, A. (2015). Evaluating Ecuador’s Decision to Abandon the Yasuni-‐Itt Initiative (Doctoral dissertation). Retrieved from E-International Relations. ↑ 14.014.1 Newcombe, A., Evangelio, A., Revilla, P., Laranjeiro, T., & Hansen, S. F. (2013). The environmental, social and ethical aspects of multinational corporations exploiting oil resources in Ecuador. WIT Transactions on Biomedicine and Health, 16, 157-171. ↑ Razzaque, J. (2002). Human rights and the environment: national experiences. Environmental policy and law, 32(2), 99-111. ↑ Montuori, A. (1998). Creative inquiry: From instrumental knowing to love of knowledge. In J. Petrankar (Ed. ), Light of Knowledge. Oakland: Dharma Publishing. ↑ Leopold, A. (2014). The land ethic: a sand county alamanac, and sketches here and there. In F. O. Ndubisi (Ed. ), The Ecological Design and Planning Reader (108-121). Washington, D. C.: Island Press. ↑ Untawale, A.G. (1992). Rehabilitation of coastal wetlands of India. In M. K. Wali (Ed. ), Ecosystem rehabilitation: preamble to sustainable development, (333-348). The Hague, the Netherlands: Academic Publishing.